Herein we address Pimiko, Queen of Wa, whom we now officially call a friend of Wei. [… Your envoys] have arrived here with your tribute, consisting of four male slaves and six female slaves, together with two pieces of cloth with designs, each twenty feet in length. You live very far away across the sea; yet you have sent an embassy with tribute. Your loyalty and filial piety we appreciate exceedingly. We confer upon you, therefore, the title “Queen of Wa Friendly to Wei,” together with the decoration of the gold seal with purple ribbon. In return, Cao Rui in return sent Himiko the gift of one hundred bronze mirrors, and there were subsequent visits of emissaries between the two kingdoms. The earliest mentions of the Japanese were made in various Chinese historical classic texts listed below in the sequence of their compilation dates. Wa (倭, “Japan, Japanese”, from Chinese Wō 倭, Hangul Wae 왜) is the oldest recorded name of Japan. Chinese, Korean, and Japanese scribes regularly wrote Wa or Yamato “Japan” with the Chinese character 倭 which is thought to be synonymous with Yamatai until the 8th century, when the Japanese found fault with it, replacing it with 和 “harmony, peace, balance”. During the early Han dynasty (205 BCE – 9 CE) scholars standardised the script, as part of a reconstruction of knowledge following the devastating political upheavals of the short-lived Chin dynasty; the block script they chose remains largely unchanged and is still in use. Despite the Chin devastations – including book burnings, interring of scholars, horrific forced labour – it is still possible to trace the early development of many characters from archaeological inscriptions. Wa (和) was formed by combining two pictograms: rice plant (禾) and open mouth (口). A rice plant has a strong central stem, but it is not brittle and – rather than snap – its pliancy allows it to bend and sway in a breeze. Rice is also the most important of the “five grains”, so that the combined characters forming wa conveys an ancient understanding of the relationship between peaceful state, social harmony and food security. The early Japanese texts above give three transcriptions of Yamato: 夜麻登 (Kojiki), 耶麻騰 (Nihon Shoki), and 山跡 (Man’yōshū). The Kojiki and Nihon Shoki use Sino-Japanese on’yomi readings of ya 夜 “night” or ya or ja 耶 (an interrogative sentence-final particle in Chinese), ma or ba 麻 “hemp”, and tō or to 登 “rise; mount” or tō 騰 “fly; gallop”. In contrast, the Man’yōshū uses Japanese kun’yomi readings of yama 山 “mountain” and to < tö or ato 跡 “track; trace”. The early Chinese histories above give three transcriptions of Yamatai: 邪馬臺 (Wei Zhi), 邪馬台 (Hou Han Shu), and 邪摩堆 (Sui Shu). The first syllable is consistently written with yé 邪 “a place name”, which was used as a jiajie graphic-loan character for yé 耶 “interrogative sentence-final particle” and xié 邪 “evil; depraved”. 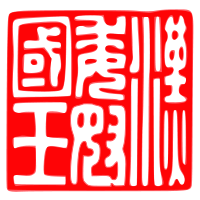 The second is written with mǎ 馬 “horse” or mó 摩 “rub; friction”. The third syllable of Yamatai is written tái 臺 or 台 “platform; terrace” (cf. Taiwan 臺灣) or duī 堆 “pile; heap”. Concerning the transcriptional difference between Yamaichi 邪馬壹 in the Wei Zhi and Yamadai or Yamatai 邪馬臺. A chronology of Japan-China relations from the first to the ninth centuries reveals that there were periods of frequent contacts as well as of lengthy intervals between contacts. This irregularity clearly indicated that, in its diplomacy with China, Japan set its own agenda and acted on self-interest to satisfy its own needs. When chieftains of various Wa tribes contacted authorities at Lelang, a Chinese commandery established in northern Korea in 108 B.C. by the Western Han court, they sought to benefit themselves by initiating contact. In A.D. 57, the first Wa ambassador arrived at the capital of the Eastern Han court (25-220); the second came in 107. Shan Hai Jing山海經 “Classic of the Mountains and Seas”. The textual dating of this collection of geographic and mythological legends is uncertain, but estimates range from 300 BCE to 250 CE. The Haineibei jing 海內北經 “Classic of Regions within the North Seas” chapter includes Wa 倭 “Japan” among foreign places both real, such as Korea, and legendary (e.g. Penglai Mountain). Wang Chong’s ca. 70-80 CE Lunheng 論衡 “Discourses weighed in the balance” is a compendium of essays on subjects including philosophy, religion, and natural sciences. Another Lunheng chapter Huiguo 恢國 “Restoring the nation” (58) similarly records that Emperor Cheng of Han (r. 51-7 BCE) was presented tributes of Vietnamese pheasants and Japanese herbs. The ca. 82 CE Han Shu 漢書 “Book of Han”‘ covers the Former Han Dynasty (206 BCE-24 CE) period. Near the conclusion of the Yan entry in the Dilizhi 地理志 “Treatise on geography” section, it records that Wa encompassed over 100 guó 國 “communities, nations, countries”. Emperor Wu of Han established this Korean Lelang Commandery in 108 BCE. The ca. 297 CE Wei Zhi 魏志 “Records of Wei”, comprising the first of the San Guo Zhi 三國志 “Records of the Three Kingdoms”, covers history of the Cao Wei kingdom (220-265 CE). The 東夷伝 “Encounters with Eastern Barbarians” section describes the Wōrén 倭人 “Japanese” based upon detailed reports from Chinese envoys to Japan. It contains the first records of Yamataikoku, shamaness Queen Himiko, and other Japanese historical topics. Tsunoda (1951:5) suggests this ancient Núguó 奴國 (lit. “slave country”), Japanese Nakoku 奴国, was located near present-day Hakata in Kyūshū. One Wei Zhi passage (tr. Tsunoda 1951:14) records that in 238 CE the Queen of Wa sent officials with tribute to the Wei emperor Cao Rui, who reciprocated with lavish gifts including a gold seal with the official title “Queen of Wa Friendly to Wei”. The golden seal said to have been granted to the “King of Wa” by Emperor Guangwu of Han in 57 CE. Another passage relates Wa tattooing with legendary King Shao Kang of the Xia Dynasty. “Grandees” translates Chinese dàfū 大夫 (lit. “great man”) “senior official; statesman” (cf. modern dàifu 大夫 “physician; doctor”), which mistranslates Japanese imperial taifu 大夫 “5th-rank courtier; head of administrative department; grand tutor” (the Nihongi records that the envoy Imoko was a taifu). “Wō people call themselves posterity of Tàibó” (倭人自謂太伯之後). Taibo was the uncle of King Wen of Zhou, who ceded the throne to his nephew and founded the ancient state of Wu (585-473 BCE). The Records of the Grand Historian has a section titled 吳太伯世家 “Wu Taibo’s Noble Family”, and his shrine is located in present day Wuxi. Researchers have noted cultural similarities between the ancient Wu state and Wō Japan including ritual tooth-pulling, back child carriers, and tattooing. The ca. 432 CE Hou Han Shu 後漢書 “Book of Later/Eastern Han” covers the Later Han Dynasty (25-220 CE) period, but was not compiled until two centuries later. The Wōrén 倭人 “Japanese” are included under the 東夷伝 “Encounters with Eastern Barbarians” section. Comparing the opening descriptions of Wa in the Wei Zhi and Hou Han Shu clearly reveals that the latter is derivative. Their respective accounts of the dwarf, naked, and black-teethed peoples provide another example of copying. Gishi-Wajinden gives a description of Wa country and Wa people and also directions on how to get to the land of Wa. The historian Wang Zhenping summarizes Wo contacts with China. When chieftains of various Wo tribes contacted authorities at Lelang, a Chinese commandery established in northern Korea in 108 B.C. by the Western Han court, they sought to benefit themselves by initiating contact. In A.D. 57, the first Wo ambassador arrived at the capital of the Eastern Han court (25-220); the second came in 107. Wo diplomats, however, never called on China on a regular basis. A chronology of Japan-China relations from the first to the ninth centuries reveals this irregularity in the visits of Japanese ambassadors to China. There were periods of frequent contacts as well as of lengthy intervals between contacts. This irregularity clearly indicated that, in its diplomacy with China, Japan set its own agenda and acted on self-interest to satisfy its own needs. The textual dating of this collection of geographic and mythological legends is uncertain, but estimates range from 300 BCE to 250 CE. The Haineibei jing 海內北經 “Classic of Regions within the North Seas” chapter includes Wō 倭 “Japan” among foreign places both real, such as Korea, and legendary (e.g. Penglai Mountain). The Rŭzēng 儒増 “Exaggerations of the Literati” chapter mentions ”Wōrén 倭人 “Japanese people” and Yuèshāng 越裳 “an old name for Champa” presenting tributes during the Zhou Dynasty. In disputing legends that ancient Zhou bronze ding tripods had magic powers to ward off evil spirits (according to Wang). The ca. 82 CE Han Shu 漢書 “Book of Han”‘ covers the Former Han Dynasty (206 BCE-24 CE) period. Near the conclusion of the Yan entry in the Dilizhi 地理志 “Treatise on geography” section, it records that Wo encompassed over 100 guó 國 “communities, nations, countries”. A second Wei history, the ca. 239-265 CE Weilüe 魏略 “Brief account of the Wei dynasty” is no longer extant, but some sections (including descriptions of the Roman Empire) are quoted in the 429 CE San Guo Zhi commentary by Pei Songzhi 裴松之. He quotes the Weilüe that “Wō people call themselves posterity of Tàibó” (倭人自謂太伯之後). Taibo was the uncle of King Wen of Zhou, who ceded the throne to his nephew and founded the ancient state of Wu (585-473 BCE). The Records of the Grand Historian has a section titled 吳太伯世家 “Wu Taibo’s Noble Family”, and his shrine is located in present day Wuxi. Researchers have noted cultural similarities between the ancient Wu state and Wō Japan including ritual tooth-pulling, back child carriers, and tattooing (represented with red paint on Japanese Haniwa statues) as well as from etchings on Jomon figurines. The ca. 432 CE Hou Han Shu 後漢書 “Book of Later/Eastern Han” covers the Later Han Dynasty (25-220 CE) period, but was not compiled until two centuries later. The Wōrén 倭人 “Japanese” are included under the 東夷伝 “Encounters with Eastern Barbarians” section[i.e. along with the Dongyi peoples]. Although the change from Wa to ‘Nippon’, lit. “from the sun”, appears to have been motivated by a desire to get away from its perceived derogatory meaning, historically, it may have been influenced by changing dynastic power, with growing influence of the clans of Paekche-kingdom descended lineages. The etymology of the word Yamato is disputed. According to the commonly accepted theory it means “Mountain-gateways,” because the region is surrounded by mountains on all sides and opens through a few passages to the regions beyond the mountain ranges. This seems to be a plausible interpretation, because it is most natural to the Japanese language. But it is a puzzling fact that the name is written in Chinese ideograms which mean “great peace.” However, the ideogram meaning “peace” seems to have been used simply for the Chinese appellation of the Japanese “wa,” which, designated in another letter, seems to have meant “dwarf.” Chamberlain’s theory is that Yamato was Ainu in origin and meant “Chestnut and ponds.” But this is improbable when we take into account the fact that the ponds, numerous in the region, are later works for irrigation. Before Japan had relations with China, it was known as Yamato and Hi no moto, which means ‘source of the sun’. Both Nippon and Nihon literally mean ‘the sun’s origin’ and are often translated as the Land of the Rising Sun. This nomenclature comes from the Imperial correspondence with the Chinese Sui Dynasty and refers to Japan’s eastward position relative to China. The Nara period of the eighth century marked the first emergence of a strong central Japanese state, centered on an imperial court in the city of Heijō-kyō (in modern-day Nara) that aggressively adopted Chinese administrative practices, arts, sciences and technology. The 945 CE Tang shu “Book of Tang” 唐書 (199A) was said to have the oldest Chinese reference to Rìběn 日本. [However, earlier dates have emerged see Xin Tang Shu and Haruyuki below] The “Eastern Barbarian” section lists both Wakoku 倭国 and Nipponkoku 日本国, giving three explanations: Nippon is an alternate name for Wa, or the Japanese disliked Wakoku because it was “inelegant; coarse” 不雅, or Nippon was once a small part of the old Wakoku. The 1050 CE Xin Tang Shu 新唐書 “New Book of Tang”, which has a Riben 日本 heading for Japan under the “Eastern Barbarians”, gives more details. Regarding the change in autonyms, the Xin Tang Shu says. It has also been suggested (Haruyuki) that “Nippon” or “Nihon” (日本) was originally the name of a territory of Baekje dynasty based on a rubbed copy of Yegun’s inscription (678) .. discovered on July, 2011. Subsequent Chinese histories refer to Japan as Rìběn 日本 and only mention Wō 倭 as an old name. The Ainu (for whom Utari meaning ‘comrade’, is the preferred term) who are established by genetics research to have descended from the earliest inhabitants of Japan – the Jomon people, who lived in Japan, although the Ainu are also clearly share genetic affinity with the Paleo-Siberian Nivkhi people (which historically makes sense: In 1264, Nivkh people reported to the Yuan Dynasty of the Mongol Empire that Ainu invaded the land of Nivkh (Sakhalin Island), resulting in battles between Ainu and the Yuan Dynasty). One of the Ainu Yukar Upopo legends, states that “They lived in this place a hundred thousand years before the Children of the Sun came.” Anthropological research establishes the Ainu culture as a mixture of the Satsumon(post-Jomon) and the Okhotsk cultures. The English word ‘Japan’ is an exonym, i.e. a name given to an ethnic group or to a geographical entity by other ethnic groups, often pejorative or derogatory. E.
The English word for Japan came to the West from early trade routes. The early Mandarin or possibly Wu Chinese (呉語) word for Japan was recorded by Marco Polo as Cipangu. In modern Shanghainese, a Wu dialect, the pronunciation of characters 日本 ‘Japan’ is Zeppen; in Wu, the character 日 has two pronunciations, informal (白讀) and formal (文讀). (In some southern Wu dialects, 日本 similar to its pronunciation in Japanese.) The old Malay word for Japan, Jepang (now spelled Jepun in Malaysia, though still spelled Jepang in Indonesia), was borrowed from a Chinese language, and this Malay word was encountered by Portuguese traders in Malacca in the 16th century. It is thought the Portuguese traders were the first to bring the word to Europe. It was first recorded in English in a 1565 letter spelled Giapan. The Japanese names for Japan are Nippon (にっぽん) They are both written in Japanese using the kanji 日本. The Japanese name Nippon is used for most official or formal purposes, however, in casual and contemporary speech, Nihon is commonly used as well. Japanese people refer to themselves as Nihonjin (日本人) and they call their language Nihongo (日本語). “第59回 交易の民アイヌ Ⅶ 元との戦い” (in Japanese). Asahikawa City. June 2, 2010. “The synthetic maps suggest a previously unsuspected center of expansion from the Sea of Japan but cannot indicate dates. This development could be tied to the Jōmon period, but one cannot entirely exclude the pre-Jōmon period and that it might be responsible for a migration to the Americas. A major source of food in those pre-agricultural times came from fishing, then as now, and this would have limited for ecological reasons the area of expansion to the coastline, perhaps that of the Sea of Japan, but also father along the Pacific Coast. I have a figurine of a Biwa Yoshi that has a four-character seal script on the bottom. This information has helped me to translate one of the characters for “mouth”. Two of the other four-characters it appears translate to: King, Earth, Heaven, Man; and Wood. The last character looks like this: KIII. I have not been able to translate this character, but I am thankful for the information this reading has given me. I meant to write: Biwa Hoshi, not Biwa Yoshi.